A star has been born…. Rice Krispie Treat Stars to be exact! The Fourth of July is coming up right around the corner!! I love everything about Independence Day – the warm weather, the fireworks, the parties and, of course, the food! This year I decided to get a little more creative. 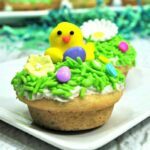 I love playing around with Rice Krispie Treats – there are so many things you can do with them. Well, this time, I decided to layer my Rice Krispie Treats and make the red, white and blue in honor of the 4th of July AND make them star shaped. There ya have it…. 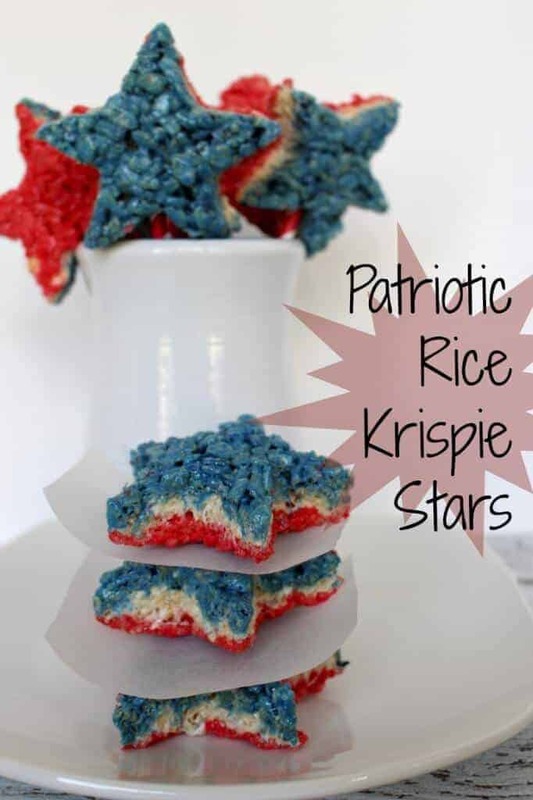 Patriotic Rice Krispie Treat Stars were born! I have a 4th of July BBQ every year. These would be perfect! I am wondering if you could dissolve some strawberry & blueberry Jello to achieve the red & blue colors? These are too cute! I love Rice Krispie Treats! 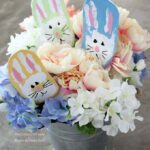 What a cute treat idea! My most favorite comment of the week!!! We may have to get together and cook!!!! Thanks for taking the time to leave a message!